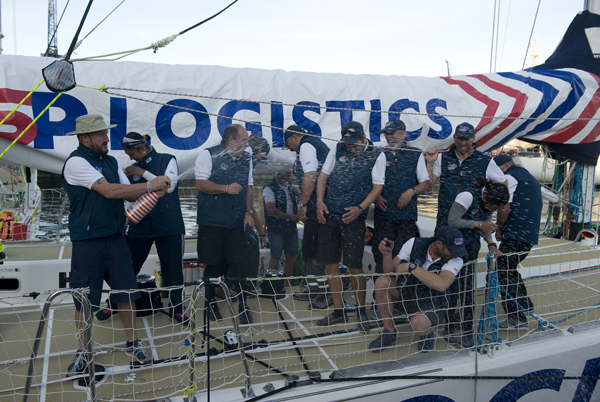 24 days after Race 2, the Stormhoek Race to the Cape of Storms, started from Punta del Este, including an unscheduled return to Uruguay after sustaining severe damage from a collision with a whale, the PSP Logistics team has made its long-awaited arrival into Cape Town tonight. Crowds of crew and supporters lined the quay, fellow race crew took to their yachts and a chorus of local singers welcomed the hardened adventurers into the Victoria and Alfred Waterfront. Round the world crew member Stian Tonnesen, 31, from Norway, said: “It’s been a long, tough one but we made it in the end. The team has been tested in many ways but we’ve crossed another ocean. It’s done and it’s been an incredible bonding experience for us. Nigel Holcombe, 55, also a circumnavigator, said: “It wasn’t as bad as you may think. The spirit was great, we were great. It is tougher when you are not racing but we really have had a lot of laughs. Since its return to racing, approximately a week after the rest of the fleet, PSP Logistics has not had an easy time of it, with the South Atlantic throwing everything at it, from light airs and wind holes to 50 knots of wind and cold temperatures. 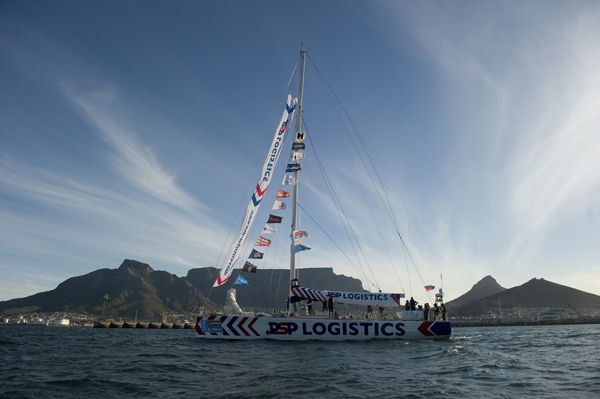 The crew banded together however in the face of all adversity to make best course for Cape Town. All PSP Logistics crew will be given tomorrow off to rest whilst the Clipper Race team and volunteers from across the fleet, clean, victual, mend and prepare CV28 for the Leg 3, the Southern Ocean Leg to Fremantle, Western Australia. Darren Lemon, 49, who is joining the team for Leg 3, was there to greet the team along with fellow new joiners. He said: “It was an awesome welcome. Great to see the whole Clipper Race office staff and all the different crew out to welcome the team in. The emotion was definitely bubbling away there. On the new leggers efforts to help the crew prepare for Leg 3, he said: “We’ve spent the last few days being in touch with the boat, and have been off getting the food and provisions ready for us. We’re all just keen to help out. PSP Logistics was awarded the Stormhoek Social Spirt award at Prize Giving and crew member, Ben Acland, also won the Henri Lloyd photo competition which means there will be plenty of cold beverages ready and waiting to celebrate their achievements. 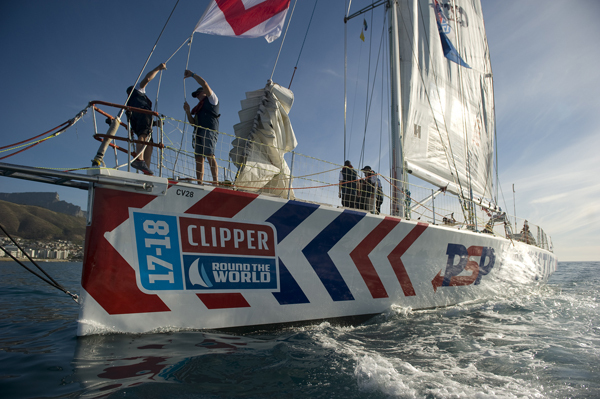 The entire Clipper Race fleet is set to depart for Fremantle on 31 October, and is estimated to arrive in between 21 and 25 November after taking on the mighty Southern Ocean.